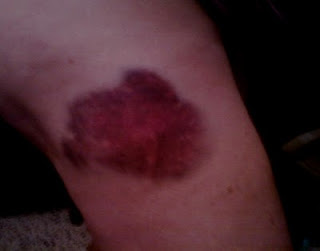 Nice Bruise: Never walk the dog! "Walking the dog can be hazardous. After spotting a cat she pulled me into lovely landscaped bushes lined with coral boulders. Nice Bruise?"